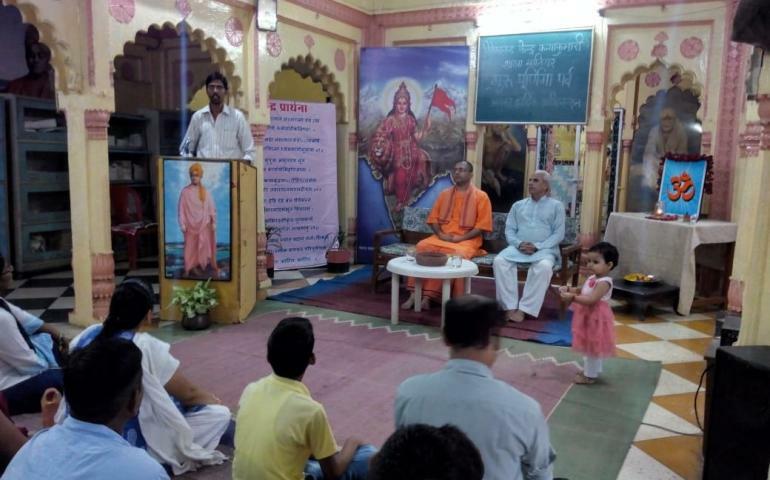 Vivekananda kendra Gwalior celebrate gurupurnima on 29 july at kendra karyalaya and the programme started with three omkaras and mangalacharan. Respected swami Tejomayananda has been coming from Ramkrishan Ashram gwalior. Swami ji has been told to make our guru of Omkara to make our life better. There were 80 people has been comming on guru punima programme of young students and school teachers and kendra karyakartas.